Low carb. High protein. High fiber. Uses left overs. Fast and easy to make. Kids love them! What more can you ask for? OK. I have mentioned the past that I love the Flat Out and Fold Its. They rock. High fiber, and they can be used to make just about anything. Today, BBQ chicken pizza.Oh and yes the chicken was already cooked. So great way to use up those leftovers in the oven or the toaster oven. 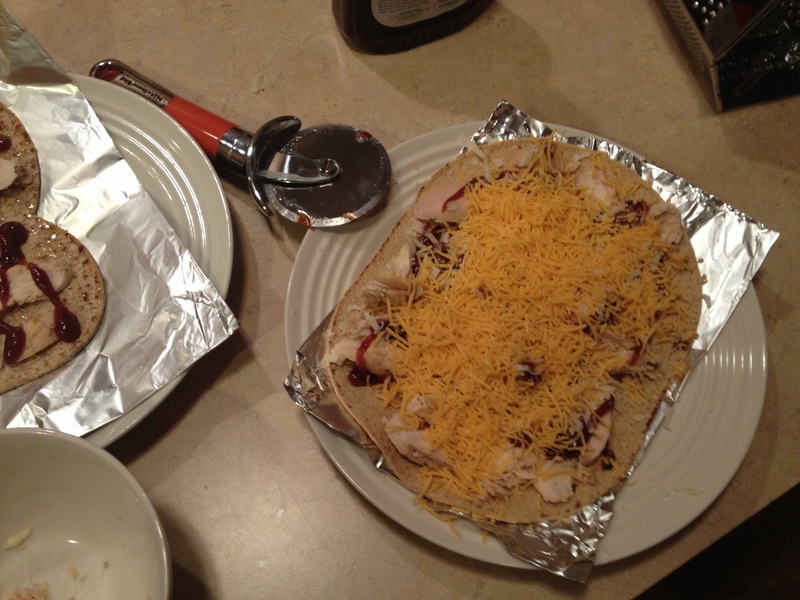 Put foil on a cookie sheet, this saves time at clean up. Coat the foil with olive oil. Set oven to 350-375F. 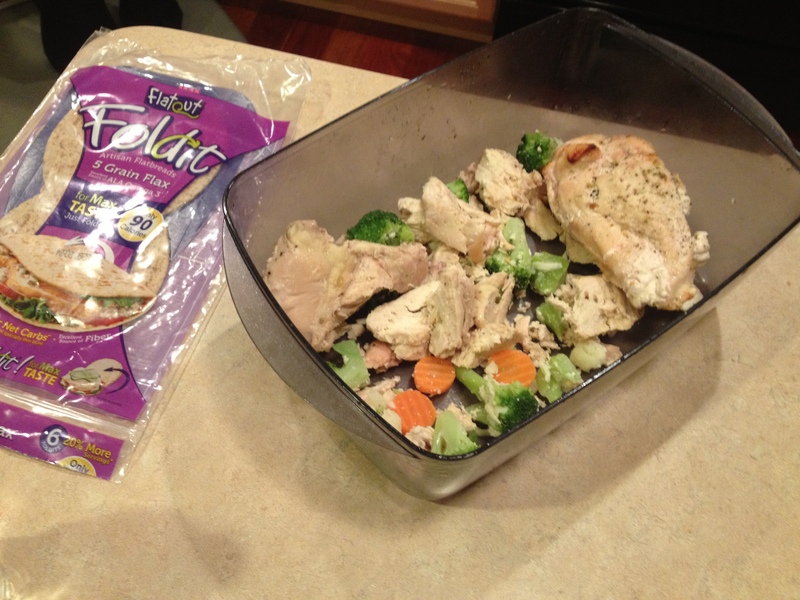 Slice the chicken thin. Place the chicken on the Fold It. 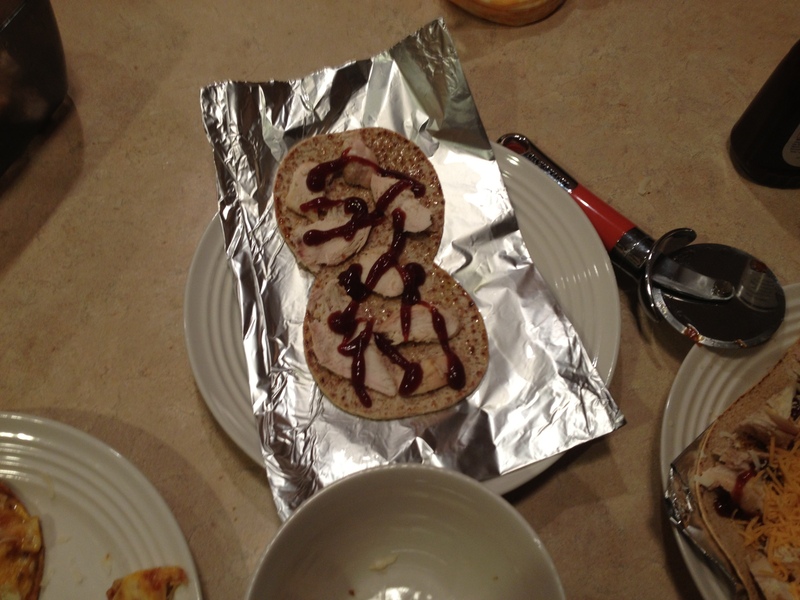 Spread some BBQ sauce. Top with cheddar. Cook for 12-15 minutes or until the Fold It is crispy. 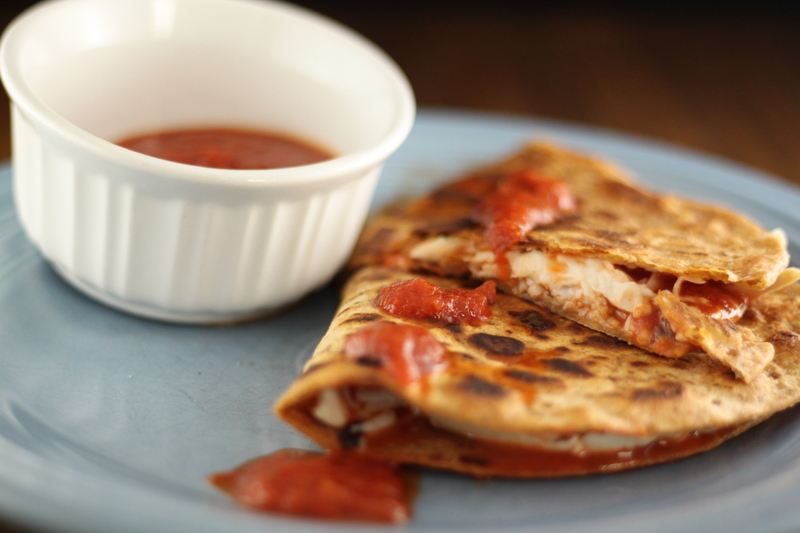 Bonus you can control the BBQ sauce or go with low carb and go easy on the cheddar…this will drop the calories, carbs, and fat. 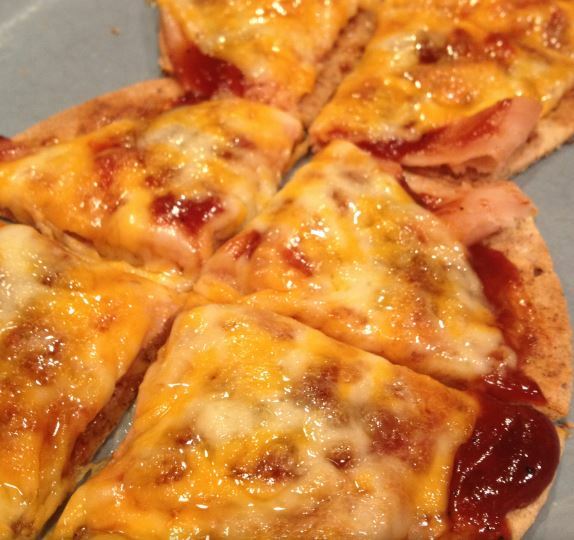 Posted in Healthy Pizza Recipes, News and tagged bbq chicken cheddar pizza recipe, bbq chicken pizza, eat by color, fold it pizza, low carb BBQ pizza, low carb pizza, ray binkowski, win.